A close, longstanding partnership with renowned spray foam manufacturer Icynene® has led us to become one of the largest Icynene® spray foam dealers in the world, with 10 Icynene® Dealer of the Year honors. Together, Anderson and Icynene® have been pioneers in New England’s quest for comfort against cold, blustery winters. The architects, builders and homeowners we work with appreciate Icynene®’s extensive testing and overall reliability. 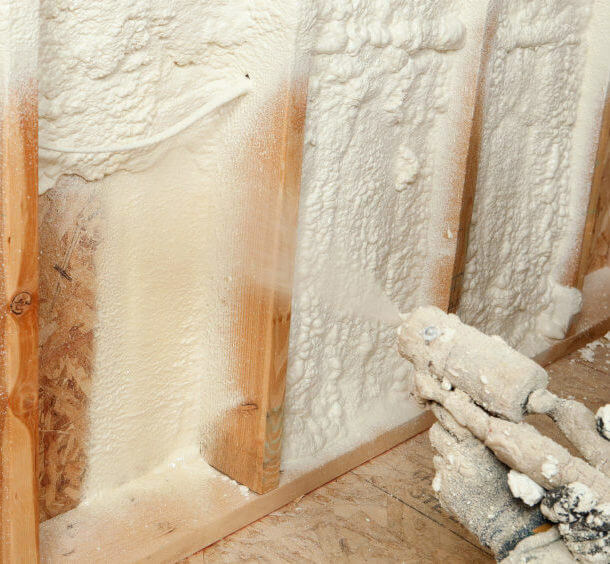 At Anderson Insulation, we use Icynene ® two-pound spray foam insulation. We do this because of the many benefits using two-pound spray has. When fully cured, two pound spray weighs between 1.5 and 3.0 lbs and can expand 30 to 50 times its original size when sprayed. This is what gives two-pound foam the ability to add structural strength to most surfaces. Two-pound foam is also superior in insulation due to its high R-Value and ability to seal cracks and voids. R-Value refers to the capability of a given insulating material, to resist heat flow. 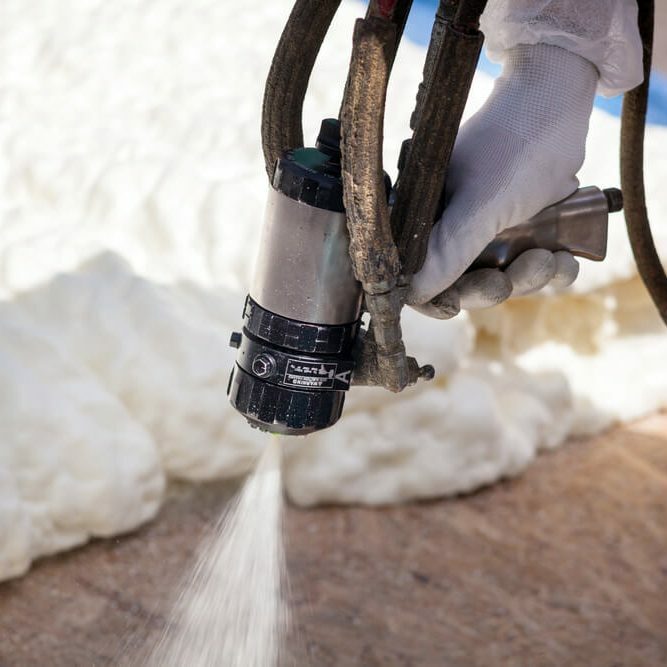 Closed-cell foam has the highest R-Value of any commercial insulation spray available. The high R-Value allows two-pound spray foam to perform well in extreme heat or cold, which equals to big energy savings! As residents of New England we are subjected to all kinds of weather that can seep into our homes without the proper insulation. Two-pound foam has a high closed cell content, which gives it the exceptional ability to resist water absorption. Areas with a greater chance of moisture build up, such as basement walls, should be considered for closed cell spray foam insulation.